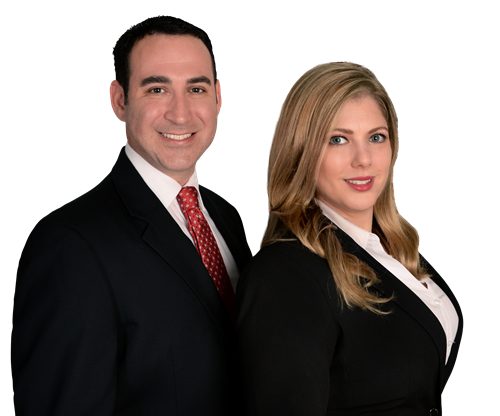 Levinson & Capuano, LLC is a boutique law office, focusing on divorce and family law, located in the heart of downtown Fort Lauderdale, Florida. Our central location allows us to serve clients throughout South Florida including Broward County, Miami-Dade County, and Palm Beach County. We are a modern, client-oriented firm, focused on providing the highest level of customer service in attaining your legal goals. The attorneys at Levinson & Capuano work tirelessly to protect the rights of our clients and their children. In many circumstances, aggressiveness throughout the divorce process can be highly beneficial. However, aggressiveness must be balanced with the prospective damages that can occur if the utmost care is not taken. We can develop the appropriate strategy for each case depending on the client’s budget, safety concerns, home environment, and other considerations. Hiring a lawyer who truly understands your situation and the problems you are facing is key to finding your strongest advocate. At Levinson & Capuano, we understand the effect that the outcome of your case can have on your liberty, your family, and your livelihood. By putting people first, we always strive to listen carefully and fully understand the client’s concerns before moving forward. Likewise, we educate our clients about both the legal and practical solutions available to allow the client to make educated, informed, and advised decisions. We believe that complete communication is the foundation of superior customer service. The attorneys at Levinson & Capuano pride themselves on a client-centered approach to legal representation. A big part of this is being available to the clients who need them. It is well known that one of the biggest complaints most clients have about their attorneys is that they can’t ever get an attorney on the phone and struggle to communicate with them. We communicate with our clients in person, by phone, e-mail, text, or any way the client feels comfortable. We make every effort to return all communication within a business day, because we understand the time sensitive nature and wide spread implications related to each case we encounter. Your case will always get the proper attention and respect it deserves, no matter how small or large your issues may seem. The attorneys at Levinson & Capuano understand that the law is constantly changing and evolving. We keep up with the changes in the law and society and understand how they affect you, the client. We will never blindly rely on what has worked well in the past – each case is distinct, and the attorney as well as the client must understand the goals of the representation, the strategy chosen, as well as all possible outcomes. The lawyers at Levinson & Capuano have seen far too frequently how the adversarial nature of many cases can evolve into personal attacks on the attorneys and clients. These negative attitudes damage cases, clients, and children. We always treat everyone involved in the process with dignity and respect, while fighting for your rights. We would never pass judgment on a client for the decisions that have been made, or the circumstances that have been created. We are here to help, not judge. The attorneys at Levinson & Capuano are equipped to assess your legal needs and create a pricing structure to put you in the best situation to get the relief you deserve. We communicate with our clients clearly and openly about billing, and provide billing statements often. Contact us today for more information on how you can afford to hire a competent, skilled attorney. Experience legal representation on a human level, in a way you never thought was possible. Contact us today speak to an attorney and learn more.